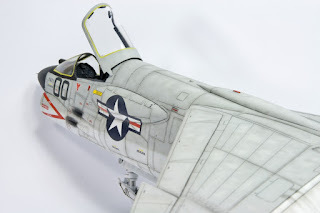 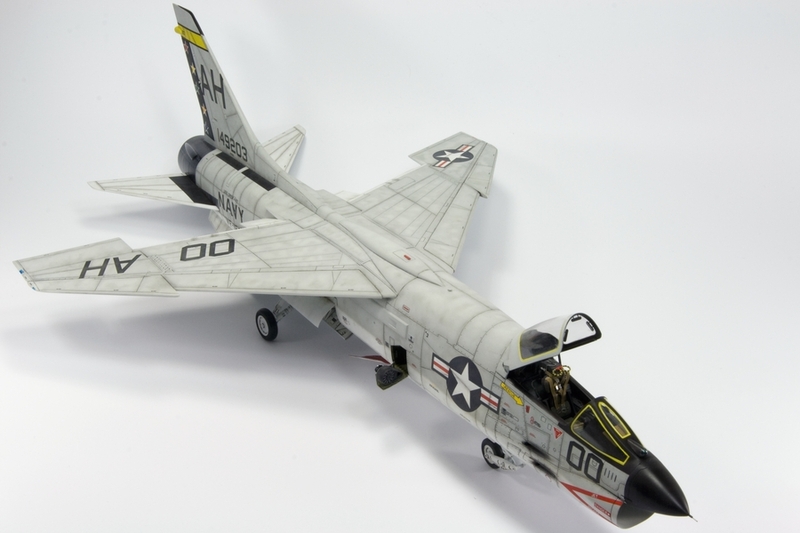 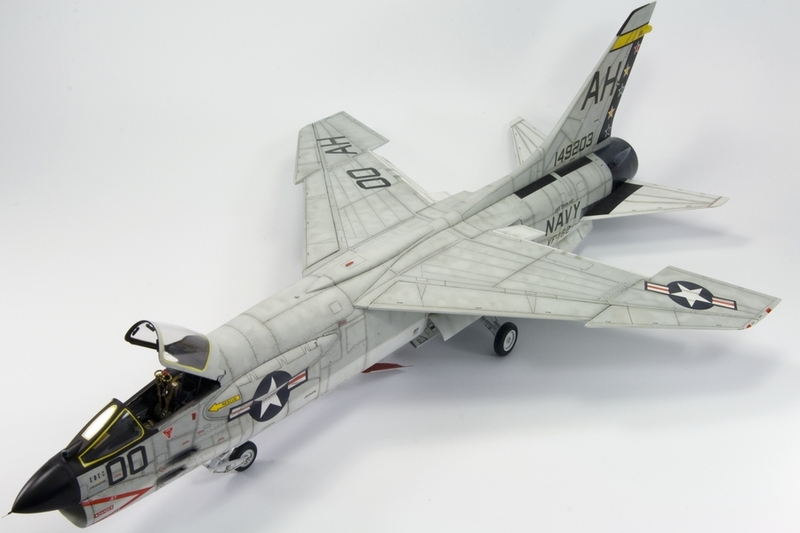 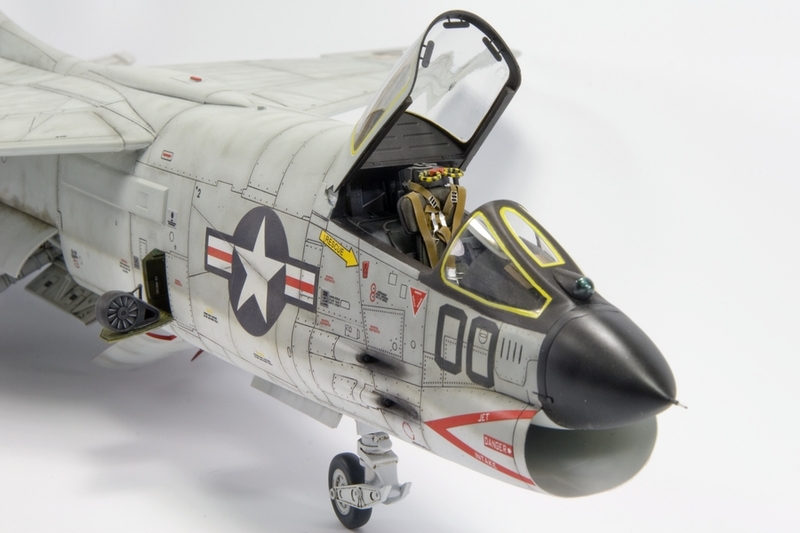 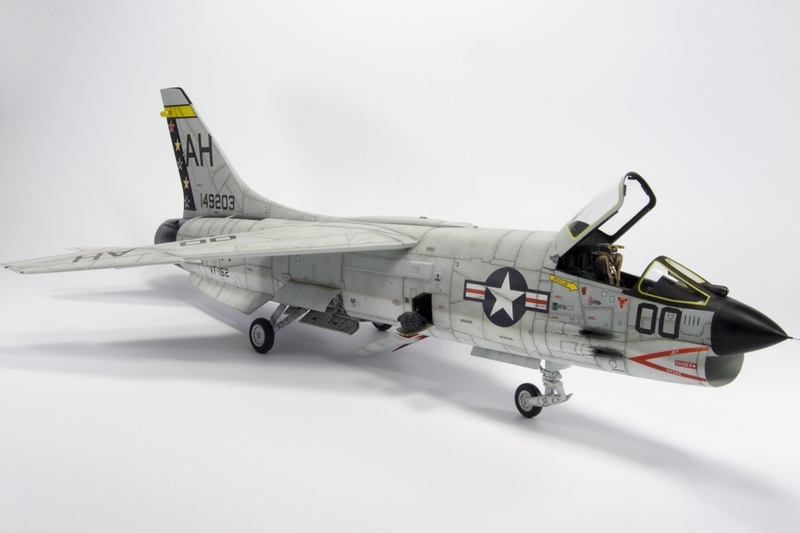 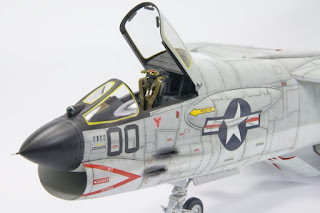 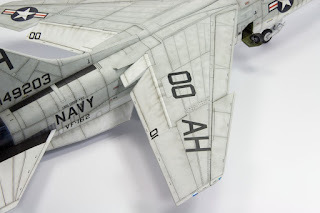 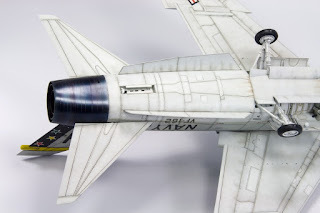 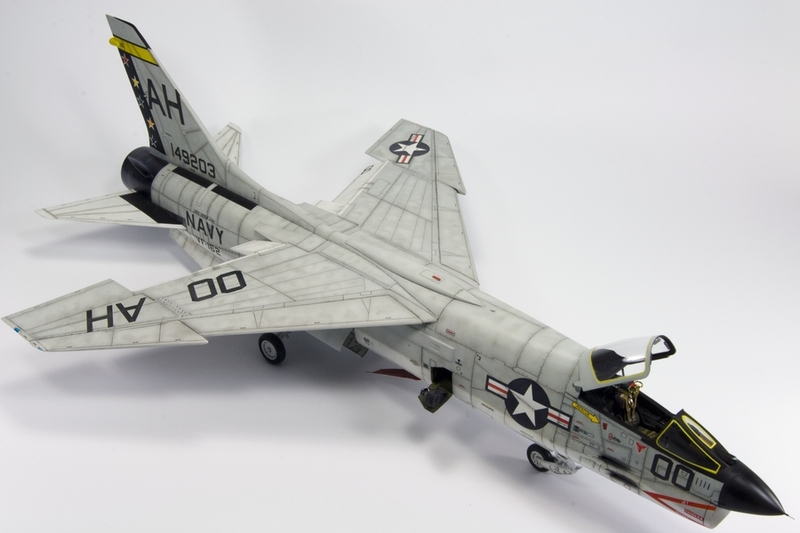 This is my F-8E Crusader in 1/32nd scale by Trumpeter. 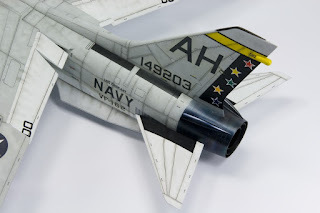 I am very proud to say that my article about this model was included in Daniel Zamarbide's and AK's latest book "USN Legendary Jets". 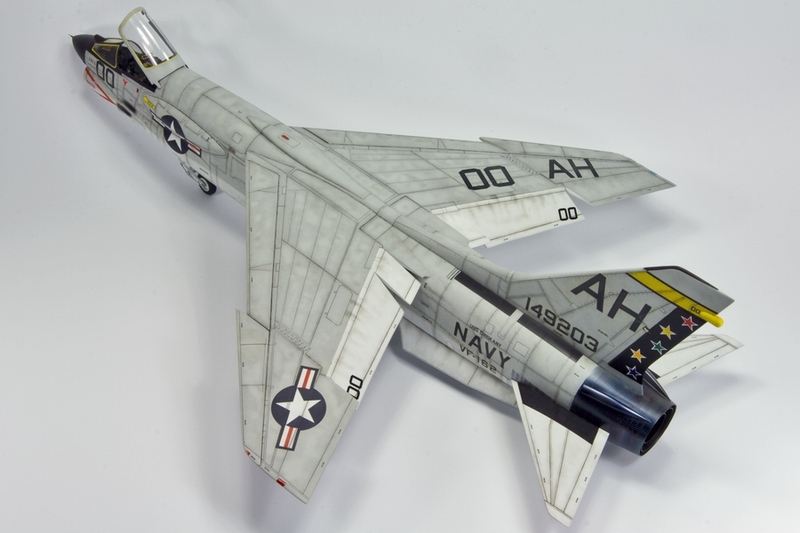 The Vought F-8 Crusader, was a single-engine, supersonic jet aircraft, used by U.S. navy and Marine Corps. It was also used by the French Navy. 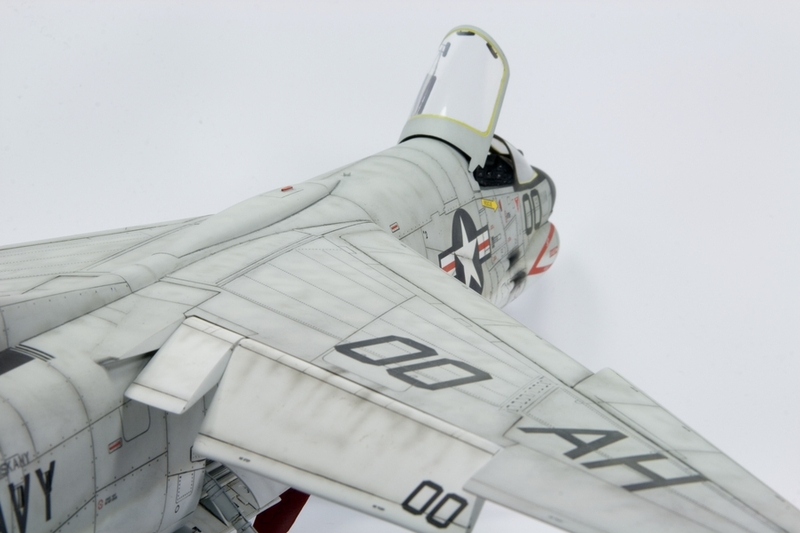 The Crusader was the last American fighter with guns as the primary weapon, earning it the title "The Last of the Gunfighters". 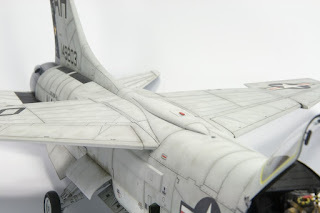 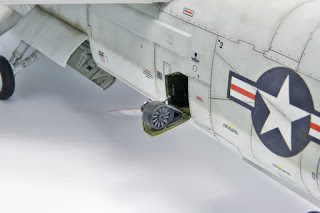 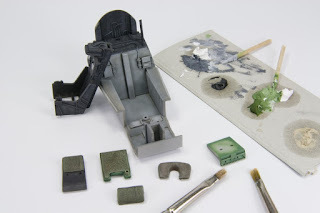 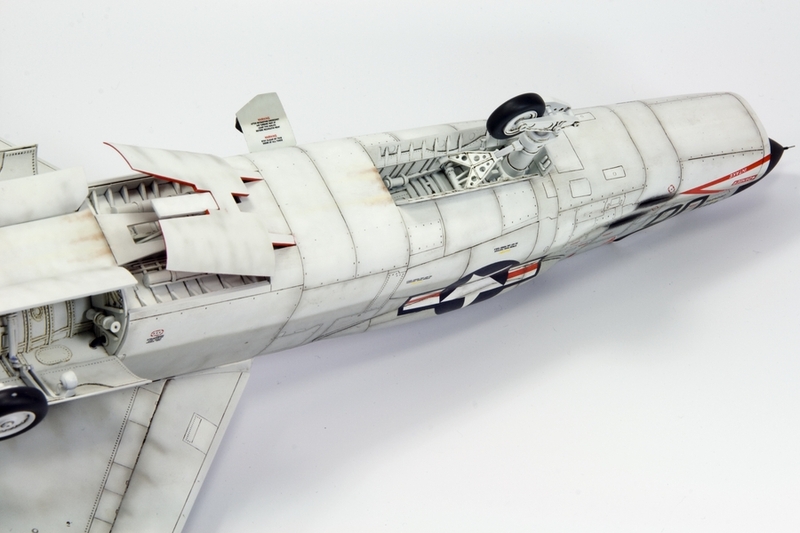 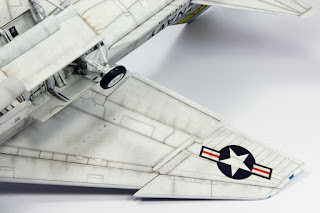 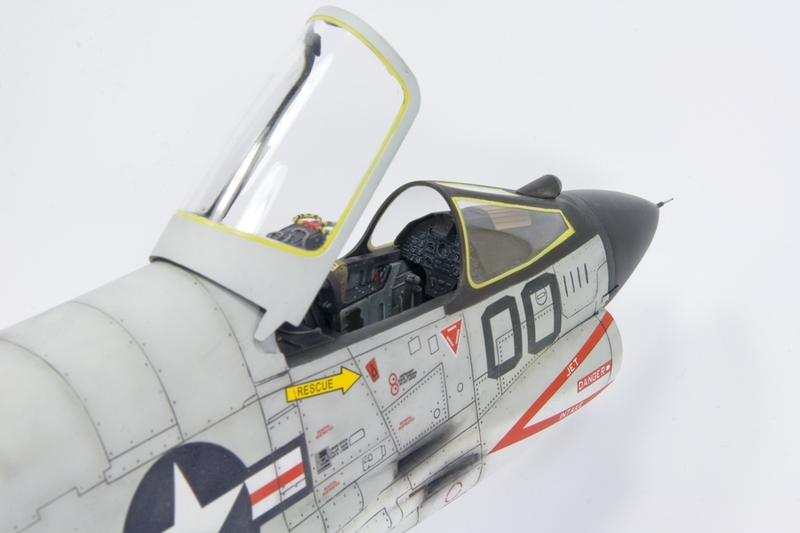 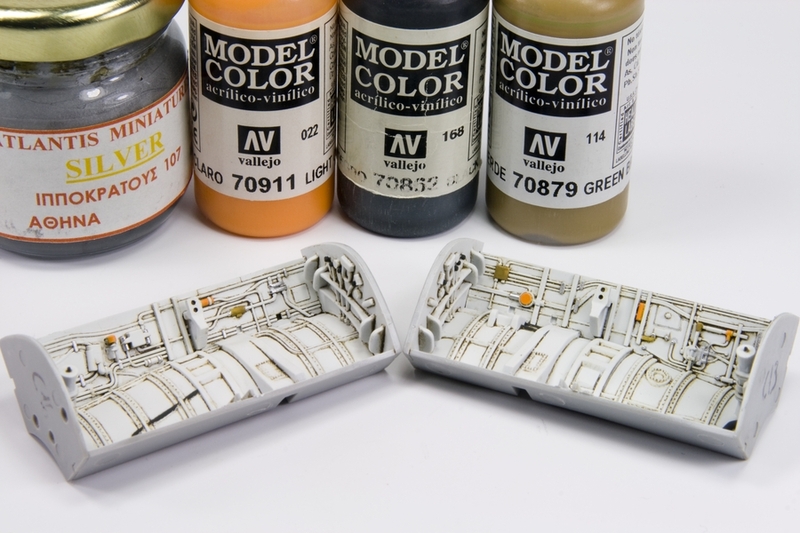 Trumpeter’s F-8E is the first kit of the Crusader in 1/32 scale. 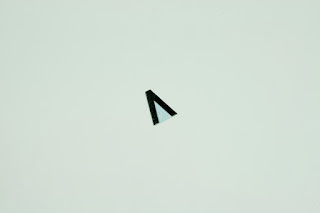 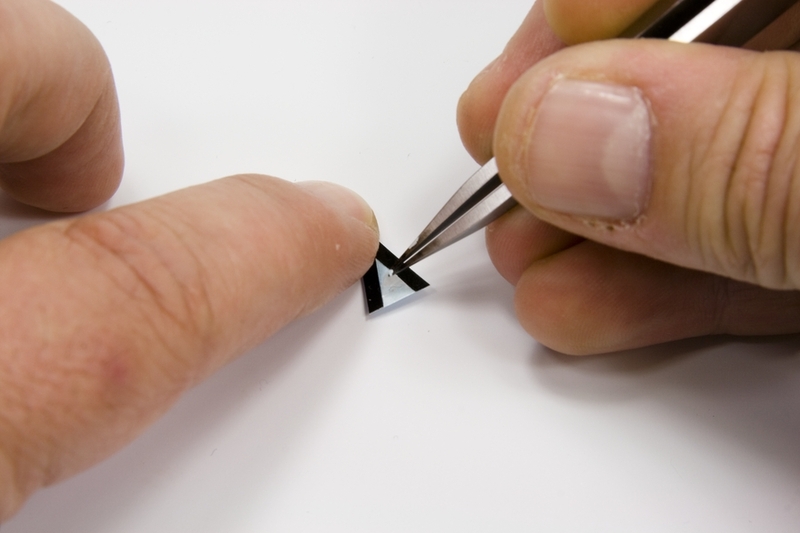 In overall design, it is one of the company’s best. 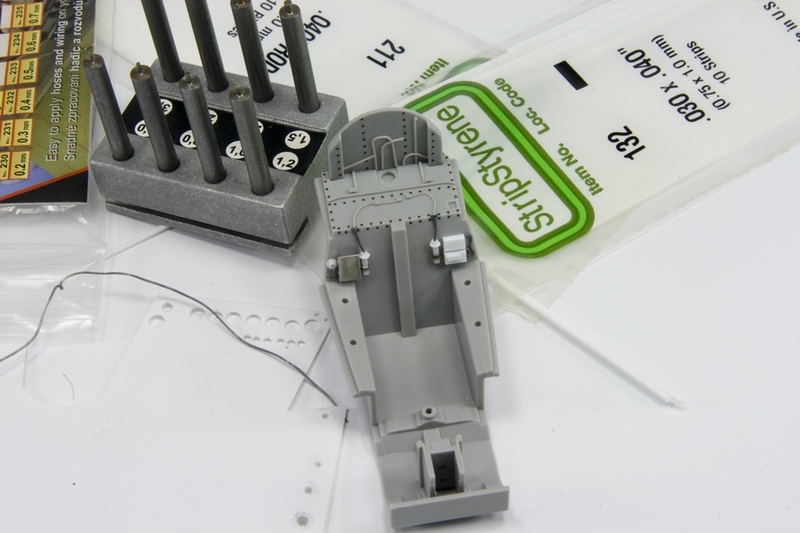 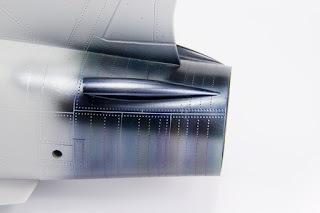 Surface detail is engraved panel lines, with some appropriate rivet detail where it should be. Two decals options are provided: the CAG for USS Oriskany from VF-162 in 1968, and the CAG for USS Ticonderoga. 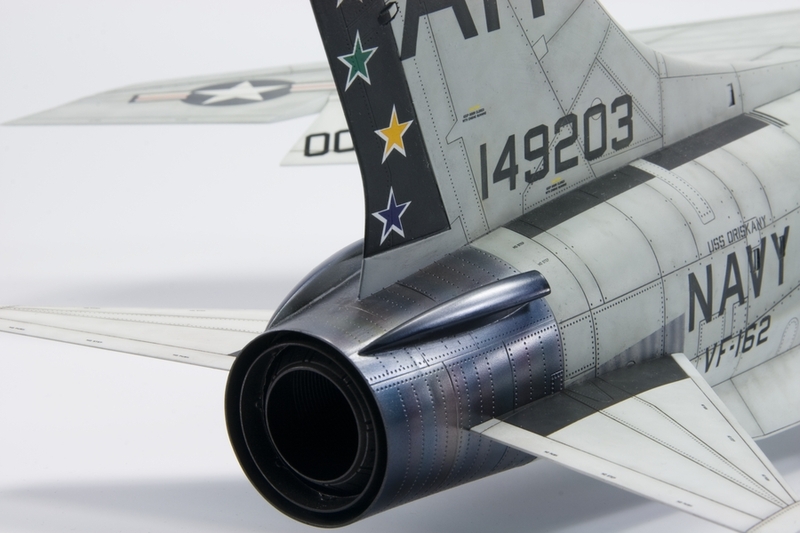 A fully-detailed J-57 engine is provided, which is the same parts originally provided in the F-100 kit, but with a different afterburner can. 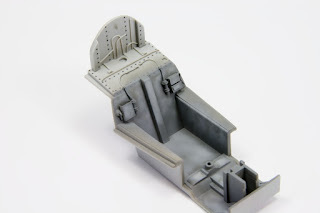 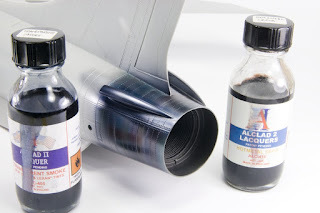 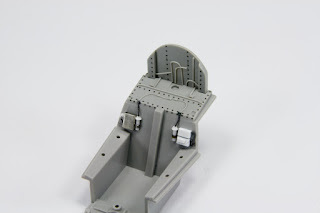 None of this other than the burner can will be seen when the model is completed unless the modeler opens the fuselage. 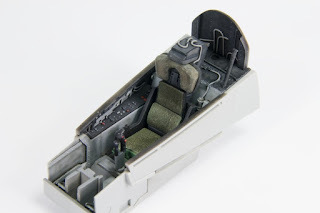 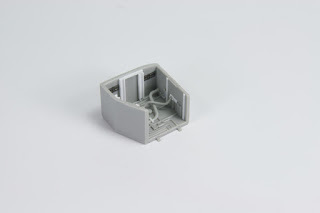 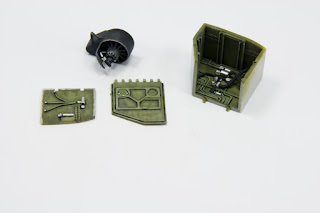 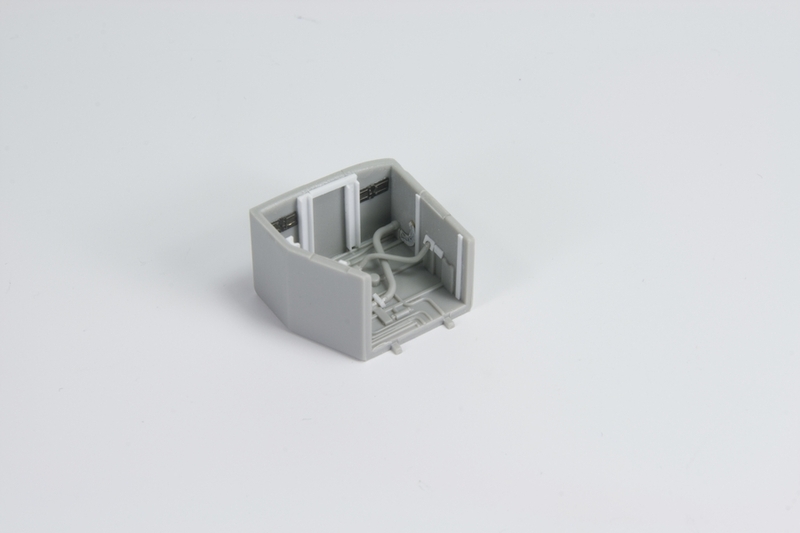 The kit also provides detailed gun bays for the 4 20mm cannons, and the dive flap is provided with nice detail. 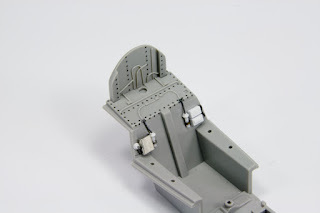 I decided to build the model OOB, without any aftermarket additions, but with some minor improvements from scratch. 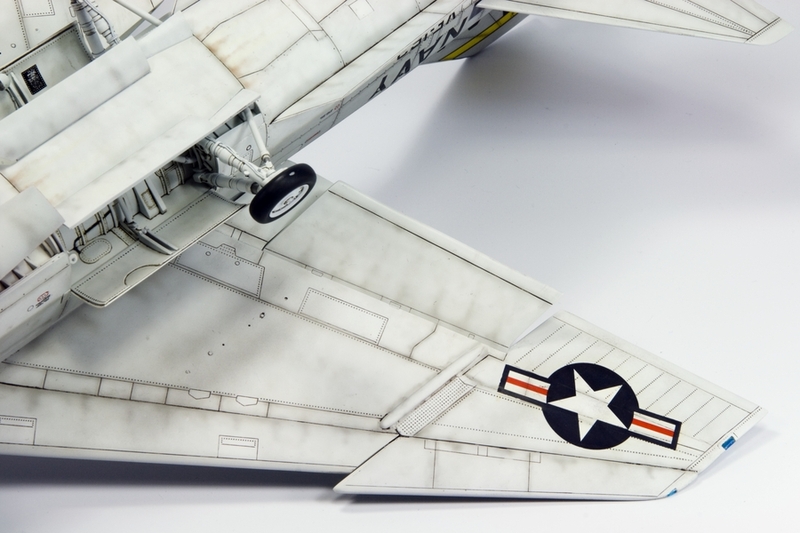 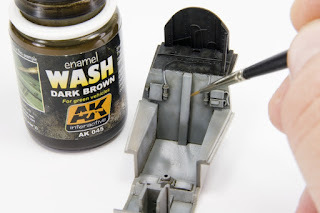 The model builds easily, has a very good fit, and the level of detail is very good out of the box.